We were lucky enough to see the recent production of Hamlet (see also) at the Novello theatre in London. In the programme notes the director describes some of the background research that was done – partly this involved a trip to Stratford and a walk up the riverside. The Director of the play, Gregory Doran along with Mariah Gale who played Ophelia walked to the area where an historic event mirrors a famous scene from the play. 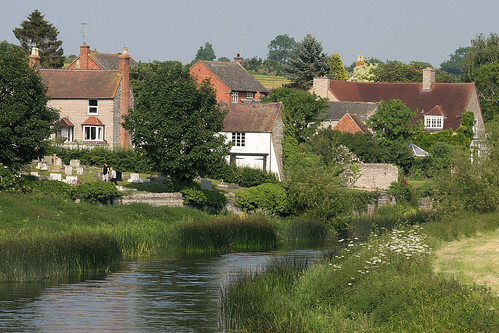 In 1579 a girl called Katharine Hamlet was drowned in the river Avon at a place called Tiddington, a short walk to the north east of Stratford town centre. Apparently, Katherine fell whilst filling a pail of water. There were also rumours that she was heartbroken about a failed love affair and that this might have been a case of suicide. 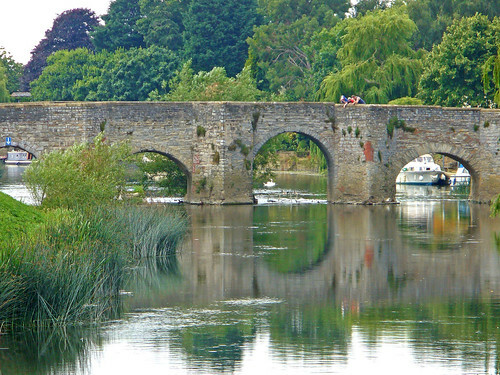 Over the years it has been suggested that this accident in the Avon might have been in Shakespeare’s mind when he wrote the play. Perhaps the most famous depiction of Ophelia is that reproduced above by Millais. 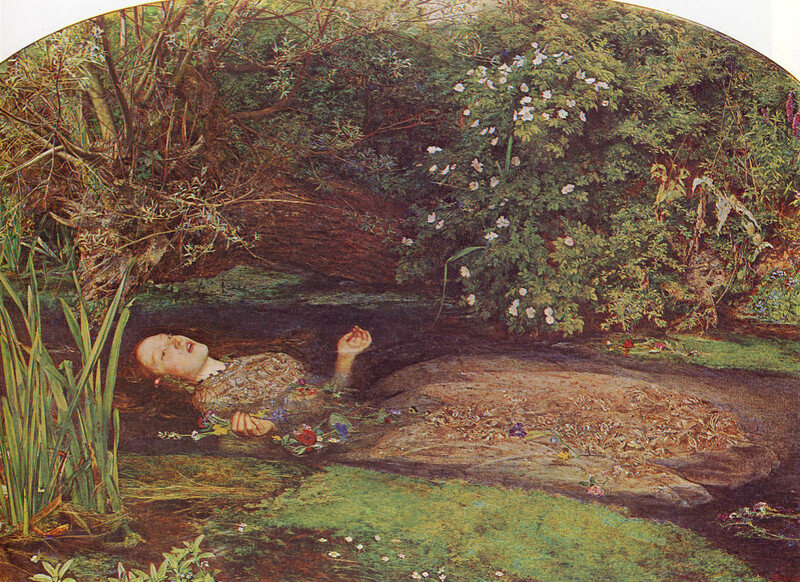 This picture which was painted in 1851/1852 shows a drowned Ophelia lying in the stream surrounded by flowers. In common with people in Tudor times, the Victorians were more aware than us of folklore and symbolic meanings attributed to plants – as you can see if you follow this link to the Tate Gallery. A walk by the Avon. On a recent visit to Stratford I walked by the river towards the area where Katharine Hamlet was drowned. Although the Avon is not very wide here, the water flows strongly and in places the riverbank is quite steep. In December (when Katharine was drowned) the ground would be wet pretty much all of the time and the banks slippery and treacherous. It is easy to imagine how someone could fall into the river, especially if one reached in to fill a bucket. None of the flowers described by either Shakespeare or Millais would have been in evidence at the time of Katharine’s drowning. At that time of year the most prominent vegetation would be grasses and bare trees. When we visited it was too early in the season to see many flowers growing, although certainly these would be plentiful around here later in the season. I suspect that like me, visitors to Stratford usually confine their walking either to the town itself or to the riverside walk in the opposite direction – towards Holy Trinity church where Shakespeare is buried. 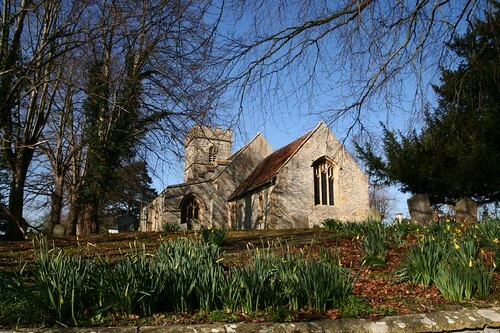 Perhaps, if you get the chance, it is worth taking the time to walk in the other direction towards Tiddington and if you do so then perhaps you might spare a thought for poor Katharine Hamlet.